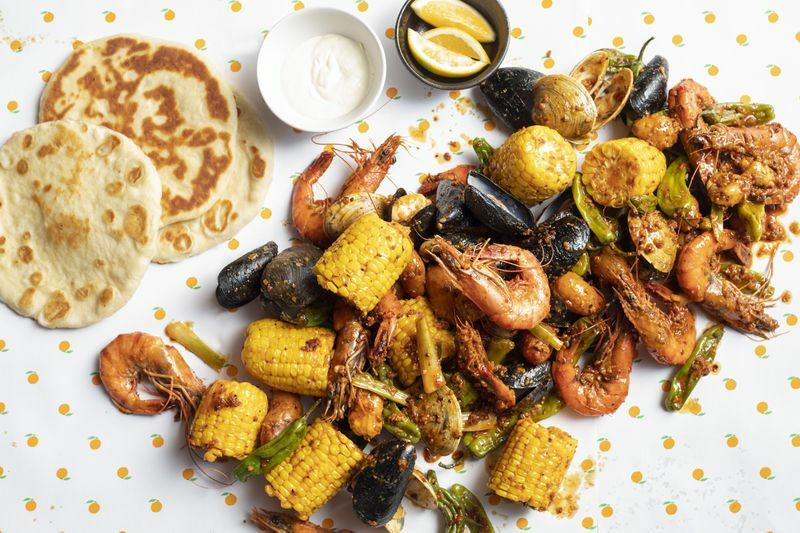 Majordomo has been a dinner-only affair ever since it opened last January, but chef and owner David Chang always promised it would open for lunch. 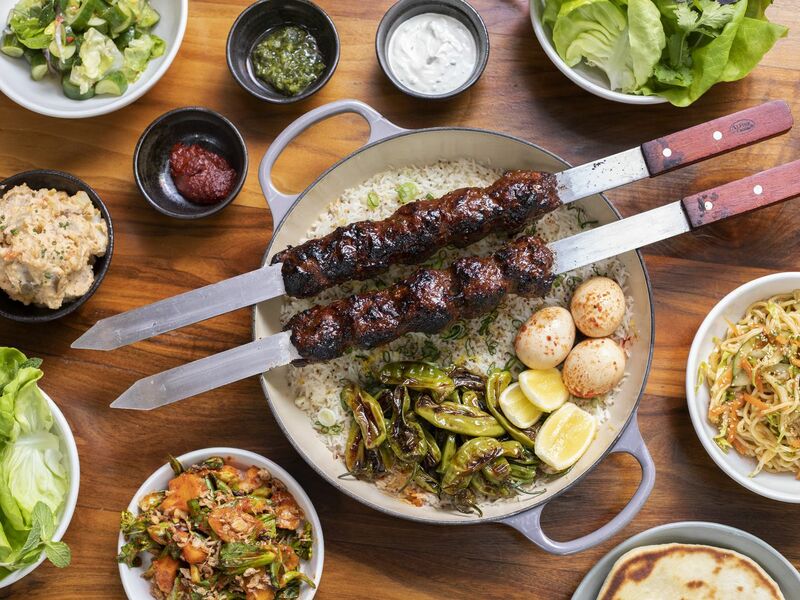 Though weekday lunch eludes Chinatown denizens, Majordomo will open for weekend lunch on April 13, with service from 11:30 a.m. to 2 p.m. on Saturday and Sunday. 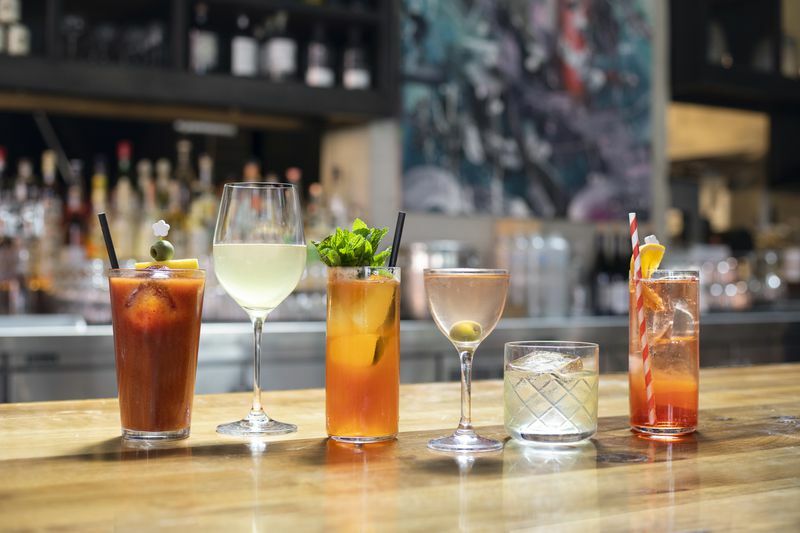 The restaurant is avoiding the term “brunch,” but it could be that the menu is pretty different than what one might expect for this meal time, which normally features American-style sweet-savory dishes. Unlike Majordomo’s more a la carte dinner menu, the weekend lunch is designed even more for sharing, with each of the offerings in a smaller 2-3 person portion or a larger 4-6 person size, though that whole grilled striped seabass only comes in the larger 4-6 diner portion. 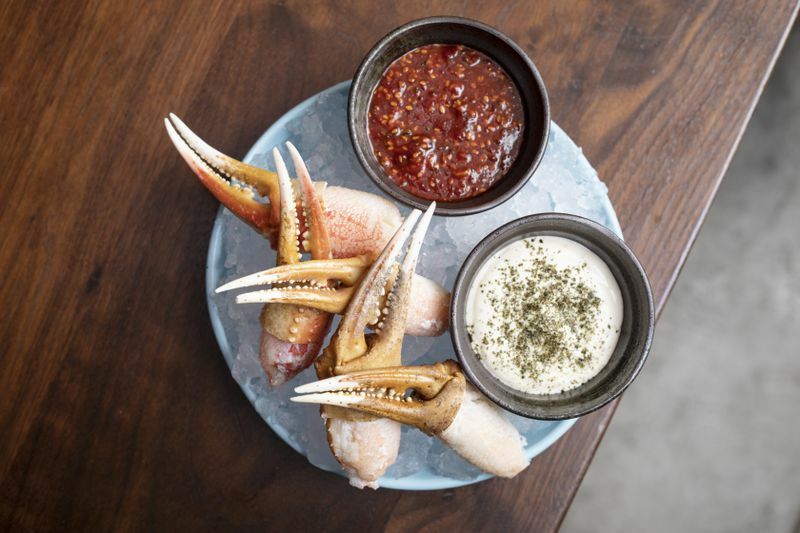 The chef’s counter turns into a seafood affair with oysters, peel-and-eat shrimp, snow crab legs with yuzu mayo, seafood cocktail, and caviar. Meanwhile head bartender Austin Hennelly and Momofuku’s food & beverage director Richard Hargreave do some fun takes on drinks with a beet bonji Americano and a Milk Bar-style cereal milk punch with lapsang souchong and unfiltered nigori sake.